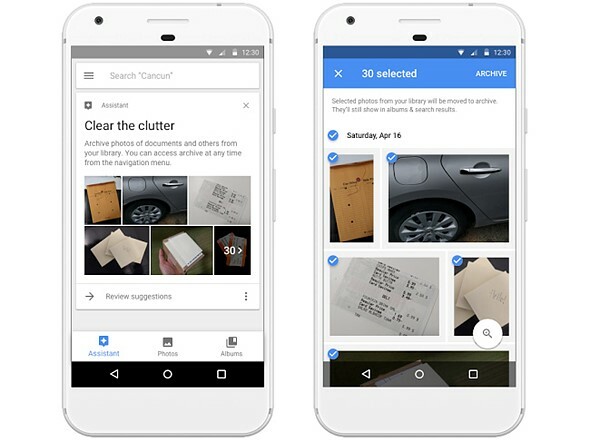 Google has launched a new smart archiving feature in Google Photos on iOS, Android and desktop that helps users quickly select photos to archive as a way to declutter the main gallery. The new archiving suggestions are found in the Assistant tab, where photos are pre-selected for archiving. Users are given control over the selections, though, being able to remove some suggested photos and add others. The company announced the new feature in a post on its Google Plus page, explaining that users can also archive individual photos by tapping the three-dot ‘…’ button on the image, then selecting ‘Archive.’ Archived photos, though removed from the main gallery, are not deleted. The archived photos can be viewed anytime by opening the left-side navigation pane and selecting ‘Archive’ or by using search.